Linda Lou Collins, age 63, Blackwell, OK resident, entered into the Lord's arms on Saturday, March 24, 2018 in Oklahoma City. Linda was born on June 20, 1954 in Battle Creek, MI to Richard and Lucille Collins. 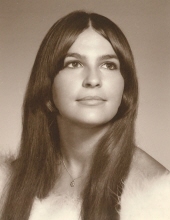 Linda moved to Minneola, KS in the 1960's and graduated from Minneola High School in 1972. After high school, she continued to live in Minneola most of her adult life while raising her three children. Survivors include her lifetime soul mate James Colburn of Blackwell, OK, beloved children: Richard "Rick" Conway, of Colby, KS, Denise Conway of Farmington, NM, Curtis Winsor of Junction City, KS, dear mother Lucille Collins-Hale of Minneola, KS, cherished siblings: Cathy Yates of Blackwell, OK, David Collins of Ford, KS, Dennis Collins of West Cliff, CO, five dear grandchildren and numerous nieces, nephews, cousins and friends. Linda is preceded in death by her father. Following cremation, a memorial ceremony to celebrate her life will be held at 2:00 p.m. Saturday, April 7, 2018 in the Chapel at the Trout Funeral Home of Blackwell. To send flowers or a remembrance gift to the family of Linda Lou Collins, please visit our Tribute Store. "Email Address" would like to share the life celebration of Linda Lou Collins. Click on the "link" to go to share a favorite memory or leave a condolence message for the family.